Thousands of Hanoians on Saturday rushed to helmet exchange places held by the National Committee for Traffic Safety to swap poor quality helmets for better quality and safer ones. 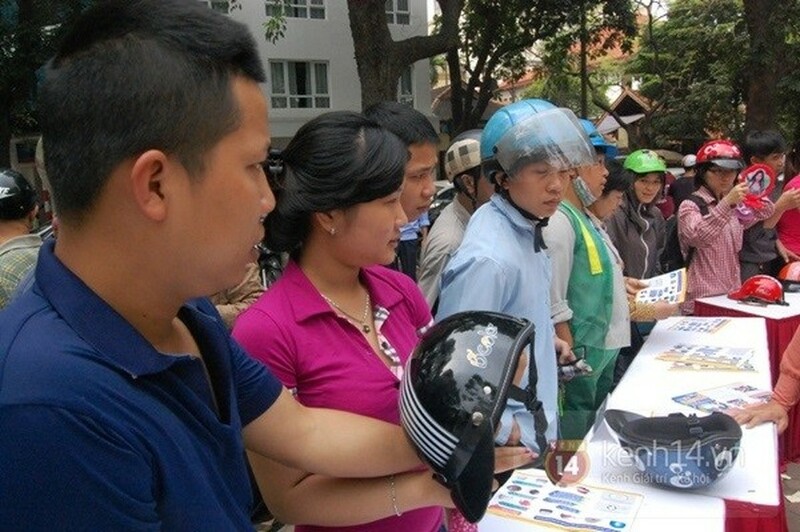 Some manufacturers of helmets in Hanoi jointly set up some locations for people to exchange helmets at low subsidized rates of VND30,000-70,000 a helmet for a new one. Nguyen Hoang Hiep, deputy head of the committee, said the exchange program has turned out to be a success so far. The program will be deployed in universities and colleges after three days of being carried out in Hanoi. The committee said that the program needed support from helmet manufacturers as so far only three of 67 manufacturers have participated in the current program. Last month the Government decided to fine those who produce, sell and wear fake and low quality helmets. 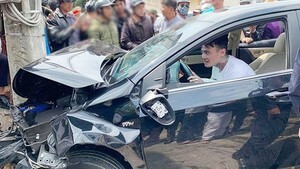 According to the Market Surveillance Agency under the Ministry of Industry and Trade, , more than 1,000 helmet manufacturers and shops were investigated and around 60,000 poor quality helmets seized within one month after the penalties on manufacturers of substandard helmets were issued.